SK Energy is the energy and chemical affiliate of South Korea's SK Group. Korea's largest oil refiner (1.1 million barrels of daily refining capacity), SK Energy controls about 35% of Korea's fuel retailing market and operates 4,270 service stations. The firm is involved in oil exploration and production in 15 countries and has proven reserves of 500 million barrels of oil equivalent. SK Energy imports coal and liquid petroleum gas (LPG), and claims a 44% share of the Korean LPG market. The company supplies natural gas to Seoul and other cities in Korea, and also makes lubricants, low–pollutant gasoline, and petrochemicals. For this new FCC facility, SK Energy awarded Yokogawa Korea a contract to install a state-of-the art CENTUM CS 3000 distributed control system (DCS) and field instrumentation. 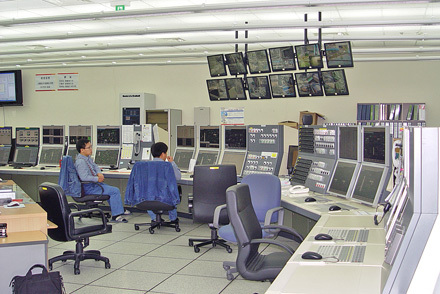 Working on a very tight project schedule, Yokogawa Korea successfully completed all control system and instrumentation engineering and the new facility was able to launch production of commercial-grade products on schedule. The overall project goals were identified during the feasibility study and project planning phases, and emphasized schedule, quality, cost, and safety. A major challenge was the tight project schedule as SK Energy needed to complete construction of this new FCC plant in just 15 months and begin a pilot program of operational testing no later than mid 2008. Normally such plants take at least two years to complete and commission, and require another three months before they can be operating at full capacity. After receiving this order in August 2006, Yokogawa Korea's project team worked closely with personnel from three different EPC companies, holding biweekly technical meetings to discuss and decide on hardware and software specifications. For this new FCC project, more than 40 sub-system interface cards and a Modbus interface were utilized to integrate systems from 14 partner companies with the CENTUM CS 3000 DCS. This enabled status information and other types of data from compressors, blowers, filter systems, dryers, and a wide variety of other types of equipment to be transferred to the DCS and viewed by operators on various graphic displays at the human interface stations (HIS). By keeping constantly up to date on the status of all processes, the operators are able to easily analyze and understand the process situation and take action immediately. In addition, all production data gathered at the DCS can be transferred to higher level computer systems via an OPC interface. That data can be stored for the tracking of overall production efficiency and used for asset management analysis and other types of plant equipment studies. In these ways, integration contributes to visualization of all plant data, significantly reduces labor costs, and ensures safe plant operation. In appreciation for its key contribution with the control system and instrumentation engineering, Yokogawa Korea was awarded a plaque by SK Energy. Following the successful completion of this project, other refiners (GS Caltex, Hyundai Oil Bank) have selected Yokogawa Korea as their technology partner. 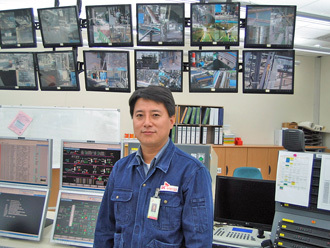 J.W Park, Lead I&C Engineer of SK Energy, said, "Yokogawa worked collaboratively with our team through the many challenges of the FEED phase and subsequent design, build & test phases, delivering the system on time and completing preparations for the successful start-up and commissioning of this plant. Lessons have been learned which will benefit the management and planning of future projects. 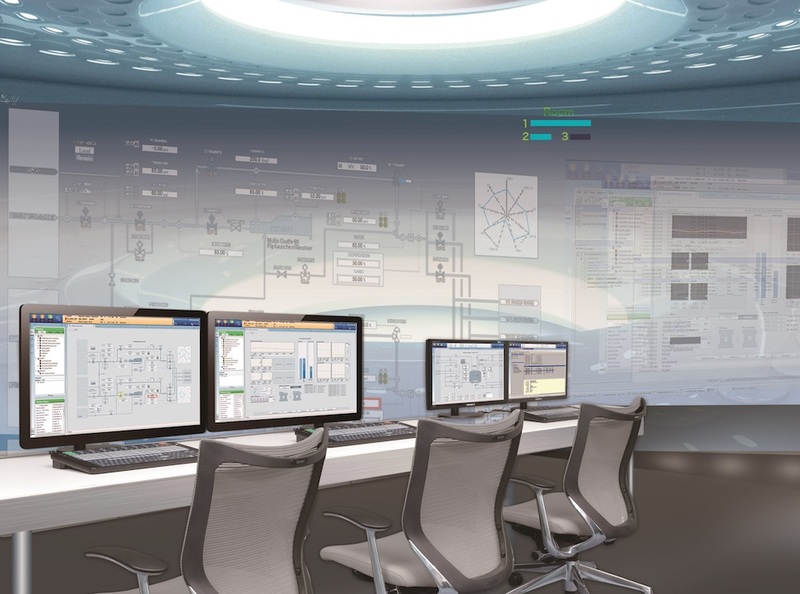 We commend Yokogawa for their open and honest acceptance of responsibility, support, and dedication, especially during the challenging installation, start-up, and commissioning of the plant." Mr. Park went on to say, "SK Energy is always looking to make further improvements in its operations, and we are now considering how to improve the sustainability of our manufacturing operations. We have heating furnaces and boilers at our site and are looking for ways to save energy and reduce CO2 emissions by reducing flue gas oxygen concentrations. And for complex plant operations, we also are looking at operation support systems like Exapilot that will retain the expertise of our most expert operators and eliminate lost production. We see a great need for this function and believe it can lead to increased productivity. For these reasons, we would like to keep working together with Yokogawa Korea."